Welcome to Iowa Endoscopy Center! 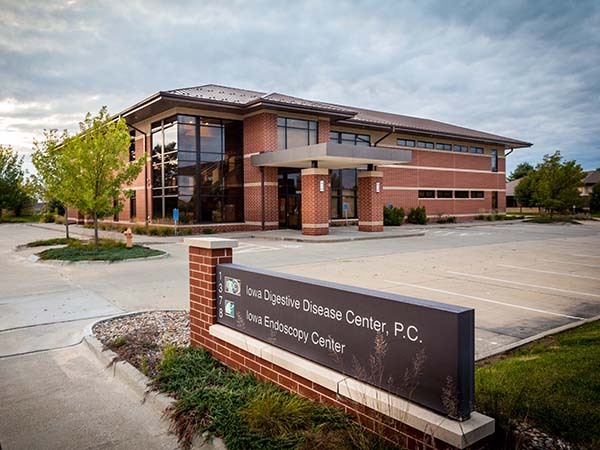 Iowa Endoscopy Center is a free standing Ambulatory Surgery Center specializing in gastro-intestinal endoscopy. Since 2010 the American Society of Gastrointestinal Endoscopy (ASGE) has recognized the Iowa Endoscopy Center and awarded it their ASGE Endoscopy Unit Recognition Award. The ASGE Endoscopy Unit Recognition Award is the only national program recognizing quality and safety in the practice of GI endoscopy. Specializing in diagnostic and therapeutic gastrointestinal procedures, our Board Certified Physicians are proud to provide our patients with the best quality healthcare in a compassionate and cost effective manner. Patients are treated individually, as people. Our facility offers a comfortable, personalized environment where patients are treated with respect and dignity. Our commitment to quality can be seen in our experienced physicians and our caring and capable nursing, technical, and clerical staff. In September, 2015 the Iowa Endoscopy Center received accreditation status from the Accreditation Association for Ambulatory Health Care (AAAHC). This accreditation was granted to IEC after completing the required survey process and found to not have any deficiencies. AAAHC was founded in 1979 to “encourage and assist ambulatory health care organizations to provide the highest achievable level of care for recipients in the most efficient and economically sound manner. The AAAHC accomplishes this by the operation of a peer-based assessment, consultation, education and accreditation program.” We are honored to be recognized for excellence by this prestigious organization. Why Choose Iowa Endoscopy Center?